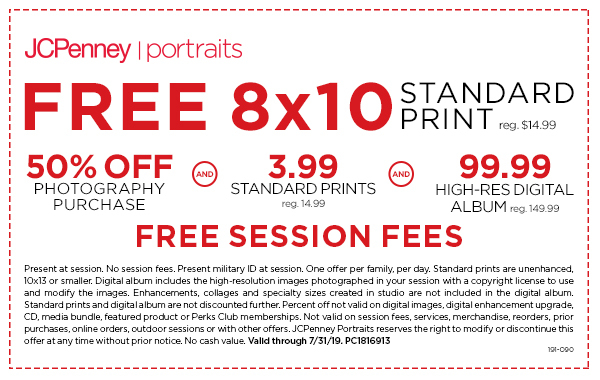 Now through July 31, JCPenney Portraits is offering Military Personnel a FREE 8×10 Standard Print, that is regularly priced at $14.99. All you need to do is print the coupon and show your Military ID. The limit is one per family.